Castle's Powder Stagecoach takes you on a one day backcountry adventure to ride open bowls and secret powder stashes. Now in its second full season, the Powder Stagecoach is one of the very few resort based Cat Ski operations in western Canada and is Alberta's only Cat Skiing adventure. Castle's Cat Skiing adventure starts after a quick ride up the Huckleberry Chair where the Cat will climb up Mount Haig to access your personal powder lines in wide bowls, gladed chutes and breathtaking scenery. Come and share our 995 cms annual snowfall across 800 acres of skiable terrain. When you have 2000 vertical feet a run, you will not be short of epic lines. Being part of the resort means that the powder hounds can have the adventure experience of Cat Skiing while other family members play on the rest of the mountain. 7:45am Check in & briefing upstairs in the lodge. Enjoy a coffee and muffin while reviewing and signing your waiver. 9:00am Review of avalanche procedures and meet the snow cat. Catch the Huckleberry lift, meet the snowcat, enjoy your adventure down, repeat! 4:00pm Back to the lodge to enjoy an après ski beverage and review photos from the day. USB stick or photo discs are available for purchase. 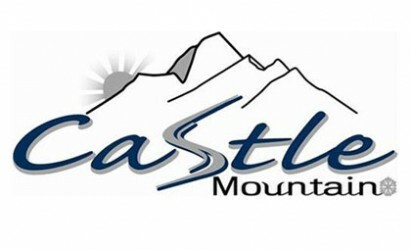 $40 Discounts for CMR Season Pass Holders, Cruisin' the Castle Card Holders & Lake Louise Card Holders! Why not try and fill a cat (12 seats) or want the terrain to yourself (24 seats). Why not contact us, we have group rates available. Private cat rental run 7 days a week, so pick your day. Why not make your day more comfortable. Our kitchen will freshly prepare a bagged lunch for you. Scared that your skis are not going to keep you up in the deep snow? Why not rent some of the latest equipment the sport has to offer.